The 1950s saw the mass production of jet propulsion in military aviation. Changing flight features and an ever increasing performance of new combat aircraft arose an interest in suitable training constructions, equipped with turbojet engines. In some designs, the capability of performing limited combat tasks throught armament carried on hardpoints, was also taken into consideration. In some countries with appropriate test and production capabilities steps were taken to develop such aircraft. 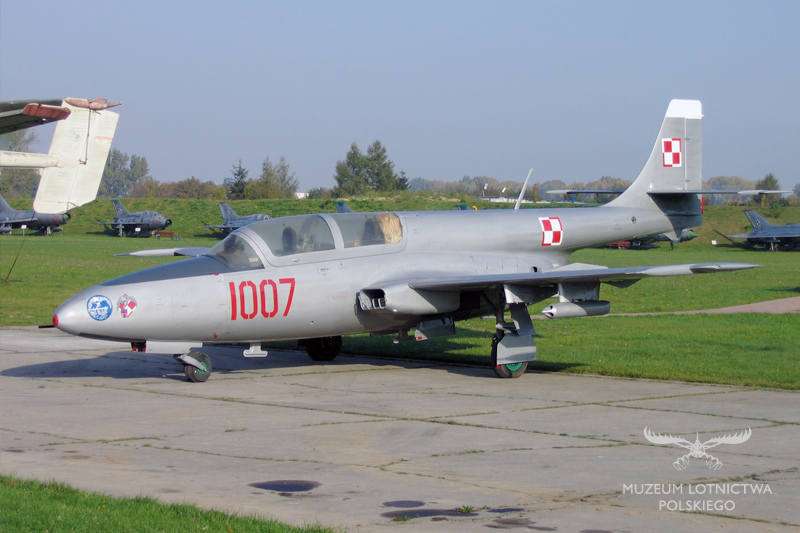 In Poland in 1956 Tadeusz Sołtyk and his team received an order from the Polish Air Force Command to design a jet powered trainer. The construction became the TS-11 Iskra (spark). In 1957, aerodynamic tests of a few models were carried out, aimed at choosing the best configuration. In 1958 the construction layout was worked out and the building of four prototypes, one for static tests, three for in-flight tests, started. At the same time, a group of designers from the Aviation Institute started to develop a turbojet engine intended for the Iskra. The engine was designated the SO-1. Its development suffered delays and the whole Iskra project was hampered. At the beginning of February 1960, the Iskra flew for the first time. The aeroplane was powered with the Bristol-Siddeley Viper 8 engine (bought in Yugoslavia). The construction appeared successful, however, with a lack of a suitable Polish designed turbojet engine. A temporary solution for this problem was the design of the HO-1 engine, at the WSK-Rzeszów (specialising in turbojet engine production), patterning the BS Viper. Limited production then started. In 1961, the Soviet Union issued a competition for the Warsaw Pact countries air forced. 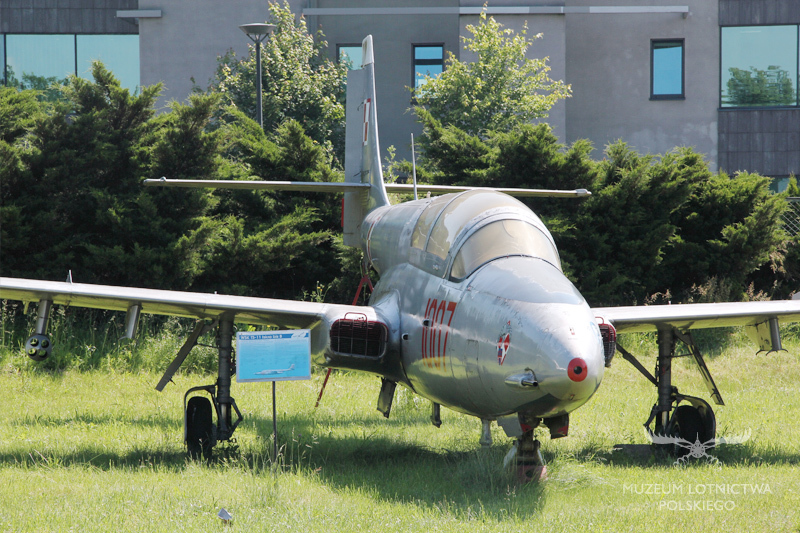 The participants were: the Polish TS-11 Iskra, Czechoslovak L-29 Delfin and the Soviet Yak-30. The competition was not a fair game as political and issues took over the technical ones. 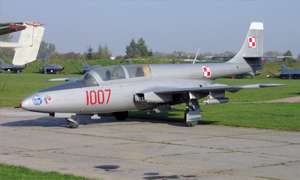 The L-29 was chosen as the winner, but Poland stood by its Iskra. Preparation for series production of the TS-11 started in 1962. The first aircraft, the TS-11 Iskra bis (A), was flown in 1963. Delivery to the air force started in 1964. Aircraft of the initial batch were powered with troublesome HO-10 engines. The intended SO-1 engine was still in development. Finally, its production started in 1967 and was immediately fitted to the Iskra bis. The aeroplane was armed with a fixed 23 mm canon, buried in the front starboard. There was provision for additional armament attached to two hardpoints under the wings. The service of the Iskra revealed quality issues that were consecutively addressed. In 1966, work on a combat trainer variant, the Iskra 100 started. New radio and radio navigation equipment was installed. The undercarriage was fitted with disc brakes, making taxiing, take off and landing easier. Main armament was left unchanged, but the number of underwing hardpoints increased to four. Additional armament could consist of unguided missile launchers, 50-kg bombs and 12.7 mm machine gun pods. Between 1969 74 134 Iskra bis B aircraft were manufactured. In 1972, the Iskra 200 appeared. Five machines, named the Iskra bis C, were produced. They were intended for photo reconnaissance and for cooperation with artillery. In 1984 these aeroplanes were rebuilt to the Iskra bis D standard. In the same year a single seat attack version, the Iskra 200BR was designed. However it didn't meet with any interest and a sole prototype was built. The next variant was the Iskra 200SB, designed in 1973 and introduced in a combat training version as the Iskra bis D. In 1975, production of the trainig-reconnaissance Iskra DF started. Both versions were powered with the improved SO-3 engine. Production of the aeroplane came about in the years 1974-77, and after an intermission continued in 1982-85, started up again in 1987. 423 Iskra's were produced alltogether, including the prototypes. The Iskra bis D was brought by India for training pilots of the Indian Air Force. Aimed at this, 50 aircraft were produced and delivered in the years 1975-76. India was the only foreign operator of the Iskra. The long service of the aeroplane allowed to train many pilots and proved the soundness of the design assumptions of the Fifties.